As the juice ferments the skins and pips float up and form a cap. To help the extraction from the skins we pump the wine from the bottom over the skins (remontage) and also push the skins back down into the juice (pigeage). The cap is well over 50cm thick so it’s a pretty good work out and far cheaper than a gym. 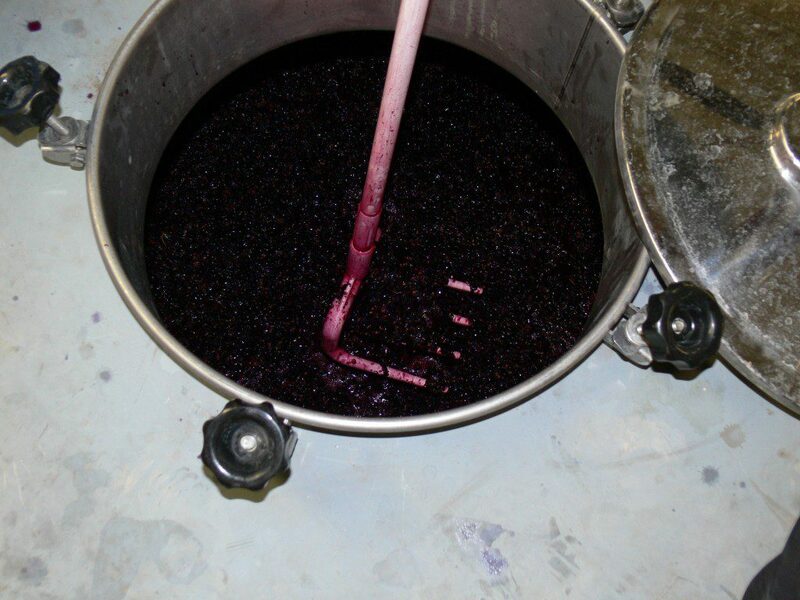 Luckily at the moment we only have one cuve, the Vinsobres Syrah, fermenting. We had huge storms last night and with more forecast for mid-week it looks like it will probably be another week before we start harvesting again. Fortunately everything in the vineyard is still looking healthy and will benefit from a little more time on the vine. In the meantime our cuve of Syrah is getting all our attention!